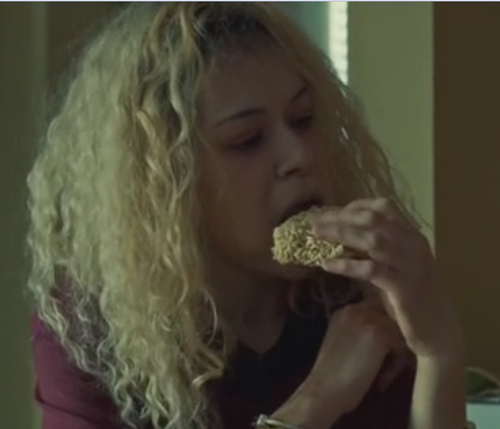 There's a lot to love about Orphan Black. The story. The breakneck pacing. Jordan Gavaris as Felix. Tatiana Maslany. Tatiana Maslany again. Oh, and Tatiana Maslany. The actress does an unbelievable job at making the clones seem like entirely different people. Each woman has a distinct personality, and Maslany sells it even if she's not entirely transformed into the given clone with hair and makeup. It's incredible. Though I can't choose a favorite clone - it changes regularly - I'm often fascinated by Helena. She had what was arguably the hardest childhood of any of the women and wants nothing more than to be with her sestra, Sarah and protect her. She's also eaten grilled cheese, pickles, eggs, beans from a can, a donut, and so much more. I seriously want to turn this into a cookbook. 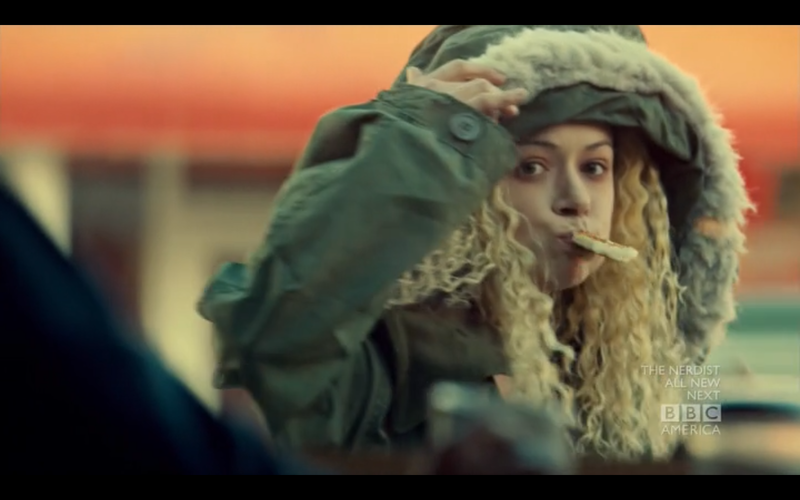 It would be a fun Orphan Black complement and also perfect for college kids. How about a BBC cookbook? Chapter Eleven: Fish Fingers and Custard. good app ishare is a brand-new app store where you could vshare apk apple iphone Distribution has actually not been trusted nice. Allows take extra will not allow the video to lag. apk you tv player You could view every streaming, flicks and far more.